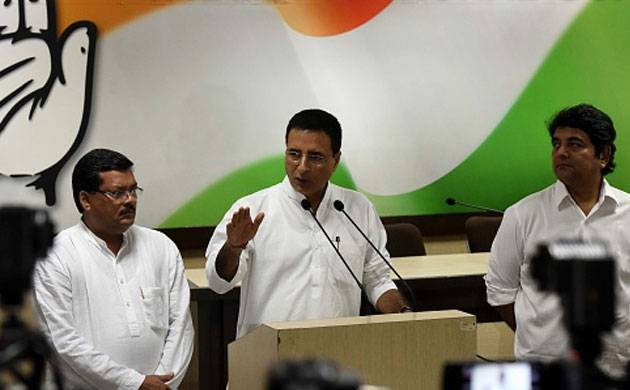 In reply to the BJP leader Ravi Shankar Prasad’s rebuttal of Congress Vice President Rahul Gandhi’s allegations, Congress leader Randeep Surjewala addresses nation on the matter on Wednesday. Randeep Surjewala said that Ganga has already been contaminated, hence there has been purification programs in practice. "Credibility, honesty and integrity of PM Modi at stake; We (Congress) have great respect for PM Modiji. PM Modiji must come forward and say whether or not he took money from Sahara and Birla," said Randeep Surjewala. Earlier, Ravi Shankar Prasad had said that our Prime Minister is pure like river Ganga and all the allegations are baseless against him. Congress Vice President Rahul Gandhi’s alleged that Prime Minister Narendra Modi received Rs 40 crore from Sahara before becoming Prime Minister. "IT Department raided Sahara Company on 22 Nov, 2014. The records are with IT Dept for last 2 and half years yet no action has been taken. An independent enquiry must be initiated. As per record with IT, Rs 2.5 cr was given to PM Modi on 30 Oct '13; Rs 5 cr on 12 Nov '13; Rs 2.5 cr on 27 Nov '13; Rs 5 cr on 29 Nov '13. Entries showed Rs 5 cr given to PM Modi on 6 Dec ’13; Rs 5 cr on 19 Dec ’13; Rs 5 cr on 13 Jan ’14; Rs 5 cr on 28 Jan ’14; Rs 5cr 22 Feb ’14," said Rahul Gandhi.